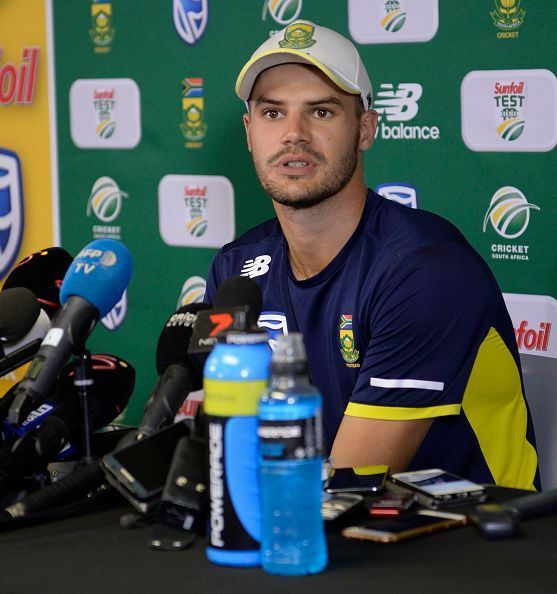 Aiden Markram is a South African cricketer, who plays the role of an opening batsman. Born on October 4, 1994, in Centurion, Markram became the first South African captain to lead his team to a U19 World Cup glory in 2014. Markram is from a family which encouraged his passion of cricket to be taken up as a career option. Since the age of two, he is known to have begun playing cricket, though he was interested in soccer as well. Markram was the top scorer for the Titans in 2014. He made his international Test debut against Bangladesh in September 2017, where he was out for 97 and by the end of 2017, he had made two Test centuries. During the Bangladesh tour of South Africa in October 2017, Markram scored his maiden half-century on his ODI debut in East London. Markram’s talent came to forefront when, as an opening batsman for South Africa, he was the leading run scorer for his country in the 2014 ICC U19 Cricket World Cup and third overall in the tournament. In the domestic circuit, Markram plays for Titans and was the top scorer for them in the 2014-15 season. He was the third highest run scorer in Momentum One-Day Cup, scoring 508 runs. He was consistent in the Sunfoil series First-Class competition as well with a run tally of 565 in 2017. Prior to the captaincy in 2014 World Cup, he was conferred with the captaincy for the quadrangular series in India in 2012-13. Markram was chosen as captain for the home ODI series against India, becoming the second youngest player to captain South Africa in ODIs. However, the hosts lost the series 1-5. In his first test series against Bangladesh in 2017, he scored 97 runs, the highest score by a South African batsman in his first test innings. He was the Man of the Match in the finals of the U19 World Cup in 2014 and got 370 runs in the tournament. He was also awarded the Man of Tournament.